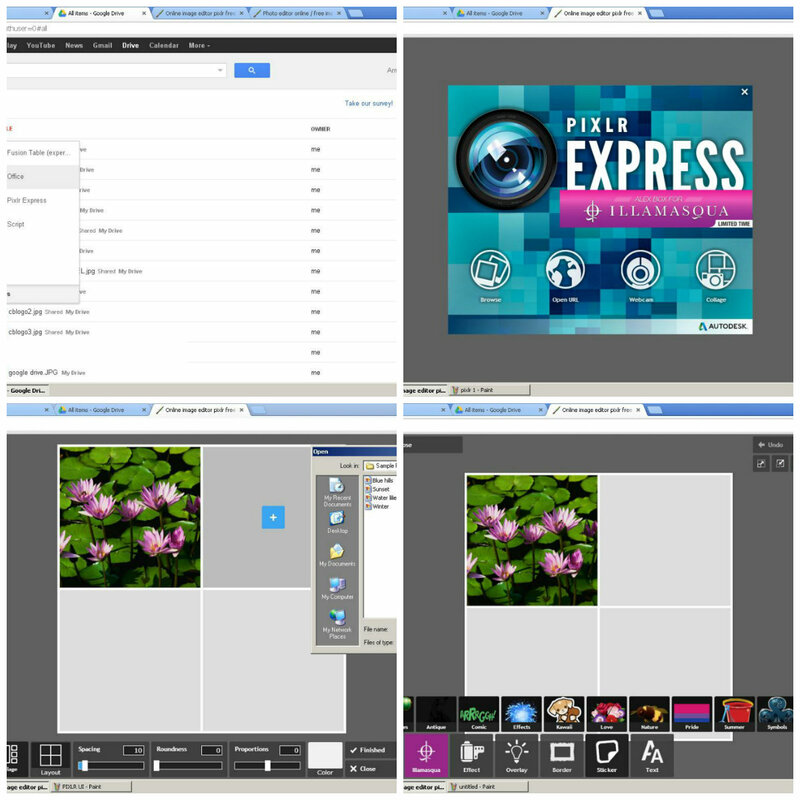 One of the features involves in Google Drive is the Photo Editor, using the CREATE button in your Google Drive you can click now the Pixlr Express. Using this feature of the Google Drive you can enhance now your photo collections by uploading it in the user interface of this online base program of the graphical application in a very easy way. There are many graphical effects that you can add to your pictures and images to make it awesome look to the people or your Facebook account. Including color effects and picture backgrounds already made or can be directly use to your pictures in a click or drag of your mouse. All need only is to create your Gmail account if you don't have one. And if you have now your Gmail account through Google.com all you need is to click the drive menu at the top below of the address bar of your browser or just click this link: https://drive.google.com just login or create your account using the SIGN-UP button. Then just click the plus box, then it will display a destination window so that you can upload your pictures for editing. Now all you have to do is to click the buttons of the menus and follow the instruction and see the awesome editing effects of your pictures. And don't forget to click apply button in every finish of your work. Once you finish and click the save button after all your work done in your editing you can download now you edited picture using the Google Drive. Just click the Recent menu at the left side of the Google drive screen below of the Create button. And if you have question just write in the comment bar or click FB sent button so that I can read your comment or any questions and I will try to answer it. "End"